Raul Garcia is WWF Spain’s Fisheries Officer and Pam Ruiter is a Project Manager for EDF’s EU Oceans team based in Spain, where EDF and WWF are collaborating on a project working with coastal fisheries. Shared by fishermen from Spain and Portugal, the octopus fishery in the waters off the coast of the Iberian Peninsula is economically important and complex. In late January, we attended the International Forum on Octopus Management in the Iberian Peninsula held in Santiago de Compostela, Spain to discuss management challenges in the fishery. The forum was organised by WWF Spain, WWF UK and the EU GAP2 project, and included a group of 70 stakeholders including members of the fishing sector, management and civil society from across Spain, as well as representatives from Portugal. Contributing to the complexity of managing the fishery, biologically octopuses are a short lived species – living only 1-2 years – which already makes scientifically estimating their status challenging. Additionally, information gaps regarding early life phases and recruitment, as well as the fact that its annual abundance is also affected by different climatological or oceanographic factors, make the species particularly challenging to manage. The fishery is also highly important to the local economy; it is fished by one third of the small scale vessels in Galicia. 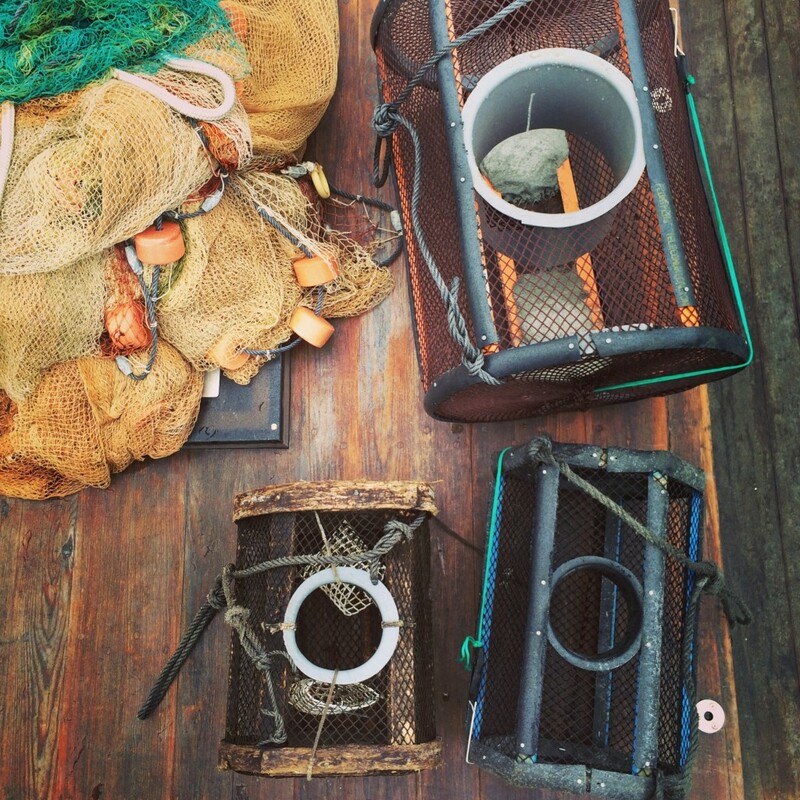 Octopus traps and fishing gear. Cofradía de Bueu, Spain. A key element in the design of this forum was the facilitation of participative and constructive dialogue. Stakeholders worked together to construct a shared vision of the current status of the Octopus fishery and recommendations for the future. Participants split into three smaller working groups in order to rotate and share experiences and knowledge centered on three topics: Management, Science and Research and Commercialisation of Markets. There should be a multiannual joint benchmark for Octopus management in the region that takes the localised reality for the fleet into account, while allowing for more coordination amongst neighboring authorities. The plan should incorporate elements to monitor, enforce, and evaluate its implementation; while looking at both biological and socioeconomic factors and including all stakeholders– fishing sector, administration, scientific bodies, and civil society. Sector participation and dialogue in between various actors should be improved and strengthened. The biological assessment of the resource must be improved to facilitate more effective management. We need to design management systems that are more proactive, dynamic, and based on scientific criteria, sector participation and co-management. Work needs to be done to further identify and protect areas that are important for the biological cycle of the octopus. We identified several lines of research that need expansion such as population genetics of the stocks and the identification of essential habitats. Multidirectional communication between stakeholders should be improved, namely between the science and fishing sector. Examples include: Fishermen participation in the development of research plans and incorporation of traditional knowledge. Results should be communicated to fishermen in an effective way. Simple technology to assist in georeferenced data collection should be employed. We should create groups that meet periodically to continue the work done within the forum and further the work to incorporate the commercialisation dimension of the fishery. A strategic marketing plan that considers the current value chain, the end consumer, and dimensions that allow for the responsible consumption of Octopus should be developed. We should guarantee clear information for the consumer by incorporating elements of traceability. One major conclusion that came through from every group was a strongly felt need to improve and strengthen the dialogue between actors from the fishing sector, management, and scientific bodies. 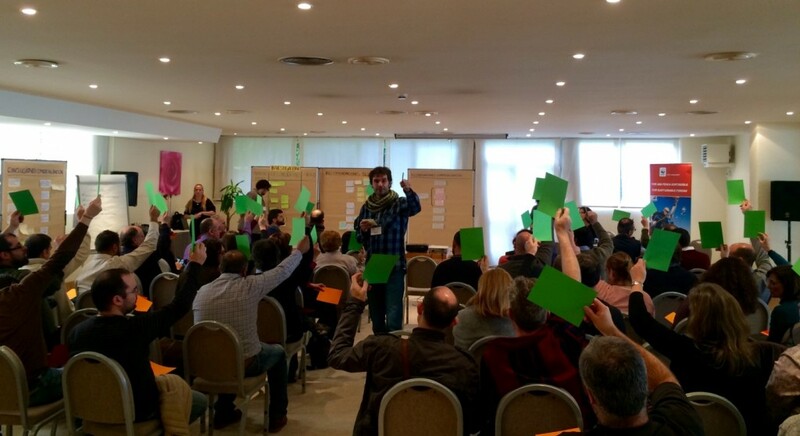 We have facilitated many workshops with the fishing sector and other stakeholders in Spain; but this one was the most challenging so far given the number of participants, participatory approach, size and importance of the fishery and potential high tensions between octopus fishers and the Administration in Galicia. We know that these types of fora are essential and participants really appreciate the opportunity to share their knowledge, experiences and aspirations towards the common goals of environmental and socio-economic sustainability. Perhaps the most rewarding part of holding this kind of forum is seeing boundaries break down amongst groups who typically do not have the opportunity to communicate about shared challenges and collaborative solutions. Fishermen, scientists, academics and government officials had honest conversations about what hasn’t worked in the past and what could be done better in the future. One fisherman expressed the view that he had never taken part in an inter-sector discussion quite like this, where he felt that the industry perspective was truly listened to and his input valued. It’s conversations like these that lay the foundations for real change. We especially value the fact that the fishing sector recognises the need for avoiding individualistic behavior, and ensuring coordination and cooperation for shared benefits. Further, the Administration recognizes the need for true participation from the fishing sector, not just their representatives, in discussions and agreements. The new EU Common Fisheries Policy and European Maritime Fisheries Fund encourage multi-stakeholder participation, transparency and accountability and therefore the legal and financial basis exists to support participatory design and implementation of Multiannual Plans. This kind of forum is also important for achieving conservation goals. Although there is some annual fluctuation due to factors outside of fishing, octopus fishermen saw their captures decrease by 50% in 2013 which rang alarm bells for stakeholders invested in this iconic species. Establishing a solid base of information to understand why these fluctuations happen, clear lines of communication between stakeholders, and dynamic management systems will ensure its sustainability both environmentally and for the communities dependent on the species. Overall, the forum was a success. Participants seemed energised and eager to find opportunities to continue to participate in dialogue about fisheries management, to tackle the challenges head on and put their recommendations into action. In addition, lines of communication between Portuguese and Spanish stakeholders were identified to ensure coherence in management between both countries. This forum was an example of stakeholder engagement at its best and of the type of discussions needed to help drive a shift towards sustainable fisheries for coastal fisheries in Spain. The timing could not be better as it is essential that we take collective action now to help the long term sustainability of the fishery. 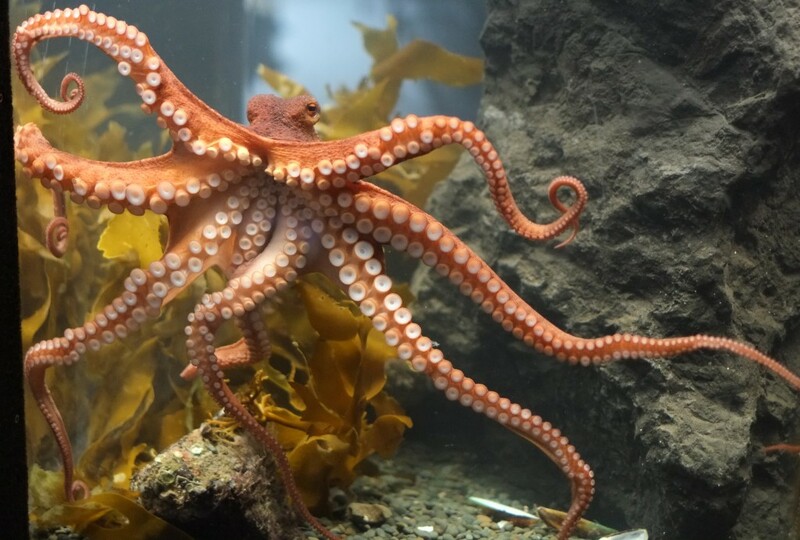 This entry was posted in Europe, International and tagged collaboration, fisheries forum, Fishery, Octopus, Portugal, Spain, stakeholder engagement. Bookmark the permalink. Both comments and trackbacks are currently closed.